You are here: Home / Ali'i / Chiefs / Governance / Princess Kaʻiulani … Engaged? On October 16, 1875, a child was born to Princess Likelike (the youngest sister of King Kalākaua) and Archibald Cleghorn. The child, the only direct descendant of the Kalākaua dynasty, was named Victoria Kawekiu Kaʻiulani Lunalilo Kalaninui Ahilapalapa. 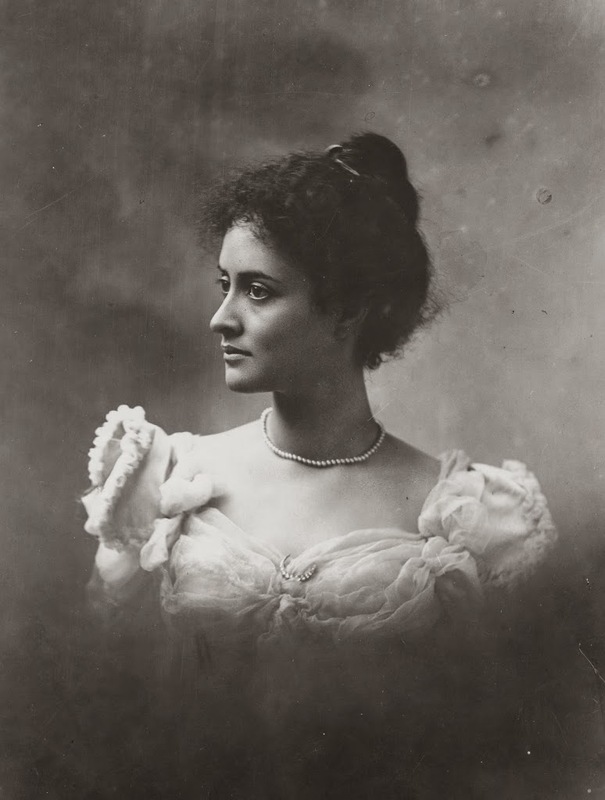 On March 9, 1891, Princess Kaʻiulani was duly appointed and proclaimed heir apparent to the Hawaiian throne. Kaʻiulani inherited 10-acres of land in Waikīkī from her godmother, Princess Ruth Keʻelikōlani. Originally called Auaukai, Kaʻiulani’s mother named it ʻĀinahau. The family built a two-story home on the estate. At first, the home was used only as a country estate, but Princess Kaʻiulani’s family loved it so much, it soon became their full time residence. As many as fifty peacocks, favorites of the young Princess, were allowed to roam freely on the grounds. At the age of 13, Princess Kaʻiulani sailed to Europe to begin her education abroad; she spent the next 8 years studying and traveling in Europe. Reports and rumors of Kaʻiulani’s engagement to various men have been reported over the years. It depends on whether you believe what you read in the newspapers or books – and which one you believe – to determine if the answer to the question posed in the title is true. Later, in 1897, newspaper accounts note George Davies, another son of Theo H Davies (Kaʻiulani guardian while she studied in England,) was engaged to the Princess. A New York Times announcement in early 1898, stated, Prince David Laʻamea Kahalepouli Kinoiki Kawānanakoa (Koa) Piʻikoi, a descendant of the sister of Kalākaua’s wife, Queen Kapiʻolani, was engaged to marry Kaʻiulani – his cousin. Adding credibility to this announcement, reportedly, Queen Kapiʻolani gave Princess Kaʻiulani’s an engagement necklace in anticipation of the marriage between Kaʻiulani and Koa. It was originally a gift to Queen Kapiʻolani from King Kalākaua for their wedding anniversary. In late-summer 1898, newspaper reports stated Kaʻiulani was engaged to Captain Putman Strong, son of New York ex-Mayor Strong. Later in 1898, reports suggested Kaʻiulani was engaged to Andrew Adams, son of a railroad engineer. He was previously a member of the staff of the Providence (Rhode Island) Journal and had moved to Hawaiʻi and worked at the Hawaiian Star in Honolulu. An 1899 report has a cryptic reference that James Blain Jr was “at one time engaged to be married to Kaʻiulani”. Somewhat surprising, since his father, James Blain, worked to bind the kingdom more closely to the US, suggesting Hawaiʻi should become an American protectorate. Some suggest Blain was involved with the ultimate annexation of Hawaiʻi by the US. Scottish: Of course, there is one more lingering message from the rumor mill – folks still suggest there was something going on between Kaʻiulani and Robert Louis Stevenson. Stevenson made several trips to the Kingdom of Hawaiʻi and became a good friend of King David Kalākaua, with whom Stevenson spent much time. Stevenson also became good friends with Kaʻiulani, also of Scottish heritage. Tragically, after a two-month illness, Kaʻiulani died at ʻĀinahau on March 6, 1899, at age 23. It is said that the night she died, her peacocks screamed so loud that people could hear them miles away and knew that she had died. The image shows Princess Kaʻiulani in 1897. In addition, I have added other related images in a folder of like name in the Photos section on my Facebook and Google+ pages.